Nature, Relaxation, Fun and Adventure that's what Costa Rica is all about! 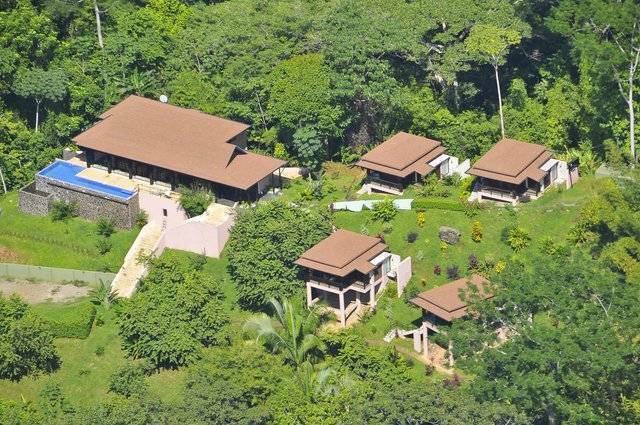 We invite you to join us at TikiVillas and relax in one of the most breathtaking parts of Costa Rica! 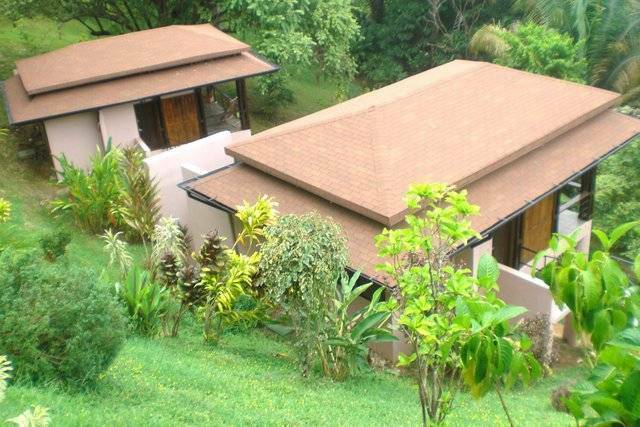 Scattered in this rainforest paradise are five private spacious individual bungalows set 100 metres above the Pacific Ocean on a mountainside and just a few minutes walking distance to the beaches of the Ballena Marine National Park between Dominical and Uvita de Osa, Southern Costa Rica. Fully immerse yourself in the Magic of Nature in our 13 acres of private Rainforest reserve and lush tropical gardens. 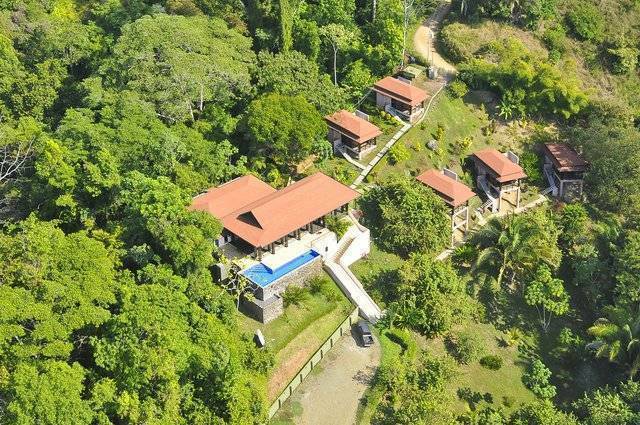 Access to miles of deserted beaches and jungle trails through primary rainforest and waterfalls. Fall asleep cradeled by the sounds of the rainforest and ocean, wake up to the howler monkeys and toucans in one of the five private spacious individual bungalows built 100 meters above the Pacific Ocean. From this vantage point you can take full advantage of the stunning sea & coastal views and refreshing pacific breeze. The relaxed tastefully decorated open-air design luxury cabins have large covered balconies allowing a total of 50 m2 (538 sq. 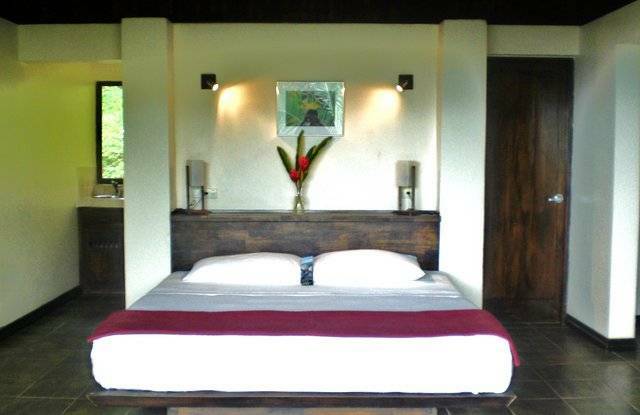 ft) of space inviting the idyllic tropical surroundings and the Magic of Nature to become part of the living quarters. After a day of sightseeing and adventure kick back and relax with a refreshing tropical drink at the infinity-edge pool and terrace. Enjoy the views of the rainforest, nature and stunning pacific coastline and just let the Magic happen! A delicious continental breakfast (inclusive in the daily rate) is also served from 7:30am to 10:00am. Each Bungallow designed for privacy offer: - 50 sq/mts (538 sq/ft) living space - Large balcony - king size bed with Egyptyian cotton sheets - both sea and jungle views - large walk in closet - oversized shower room (inside) - Outside Jungle Shower - hot & cold water - daily Houskeeping - fan - hairdryer - safe - kitchenette with mini-bar & coffee-maker - complimentary coffee packs In addition two of the Villas have air conditioning and three also house a twin bed. TikiVillas is located near Uvita de Osa on the southern Pacific Coast of Costa Rica, which has been described as "the most biologically intense place on earth" (National Geographic). The area has many prestine deserted beaches and Rainforest covered mountains. It is the ideal location from where to explore an amazing and unique tropical paradise. There are two nature reserve parks close by, Baru Reserve and Ballena National Marine Park as well as a further three - Manuel Antonio National Park, Corcovado National Park and Cano Island National Reserve only an hour and a half away. There is something here for everyone with many nature and adventure activities on and off shore. • 9 days prior to arrival date or no show - subject to full payment of rental booked. 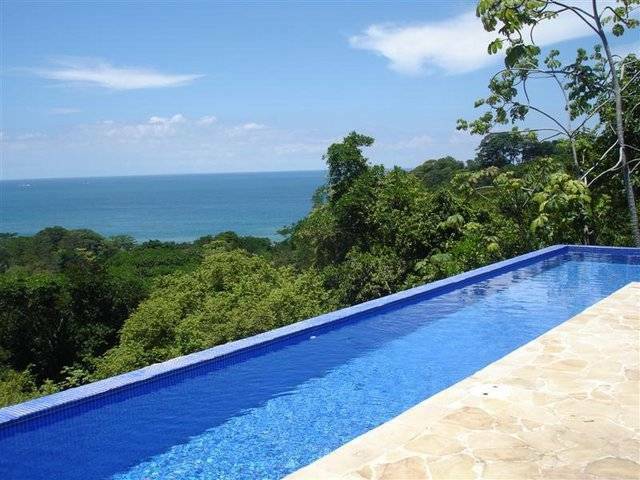 TikiVillas is located on the Southern Pacific coast of Costa Rica just off the new Coastal Highway between 155 km and 156 km highway markers. Overlooking “Playa Hermosa” Beach and Punta Achiote, it is 12 Km (7 miles) drive south from the surf town of Dominical, and 6 Km (3. 5 miles) North of the spectacular Ballena Marine National Park entrance. We can easily be reached from San Jose in 45 minutes via a flight to Palmar Sur or Quepos or by car on a scenic and enjoyable three and a half hour drive (150 km/100 miles). 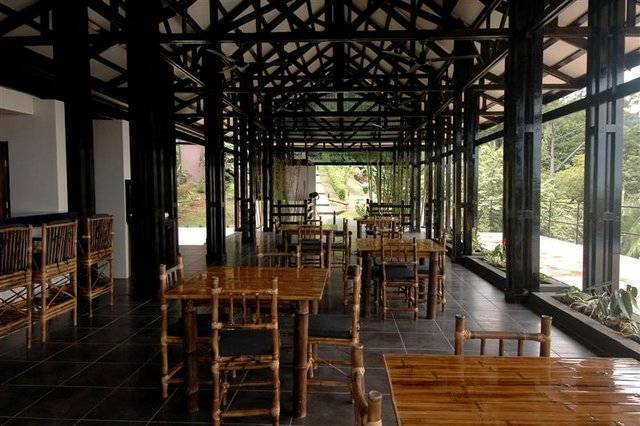 This has truly breathtaking mountain views of the Central Valley, Cloud Forest and the coffee plantations all the way on a double lane paved main road to TikiVillas.